Amidst criticism that blankets in trains are not washed properly, Indian Railways is planning to discontinue providing blankets to passengers in AC coaches. The CAG recently criticized the railways for not maintaining hygiene in the trains. 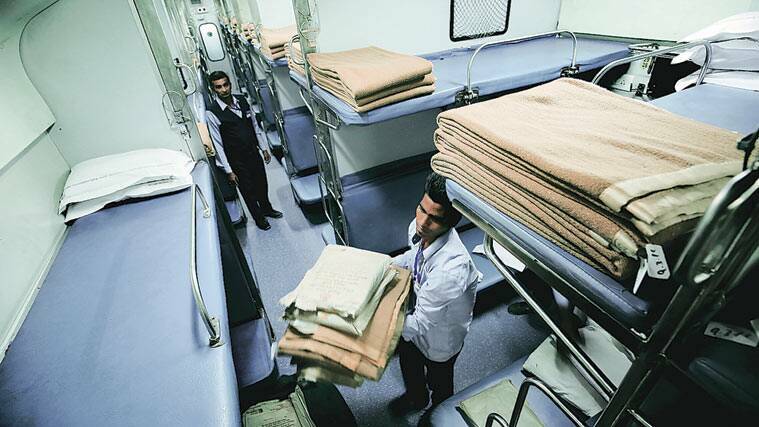 The temperature in the AC coaches will also be set at 24°C from the current 19° C, so that blankets won’t be required. There are also cost related factors here. Cleaning a single blanket costs 55 Rs while passengers are charged just 22 Rs for it. Last year the railways launched a scheme that passengers can purchase disposable bed sheets and blankets through IRCTC website or from railway counter. Blanket along with 2 bed sheets and a pillow costs 140 INR, while only the blanket costs 110 INR.